With over 70 years of experience, Dexmet has built a broad range of application-specific knowledge that no other expanded material manufacturer can match. Our highly-trained engineers and product managers will ensure you find the expanded metal foil or polymer best-suited for your needs. Our versatile expanded metal foils and polymers are used by Fortune 500s and leaders across many different industries. 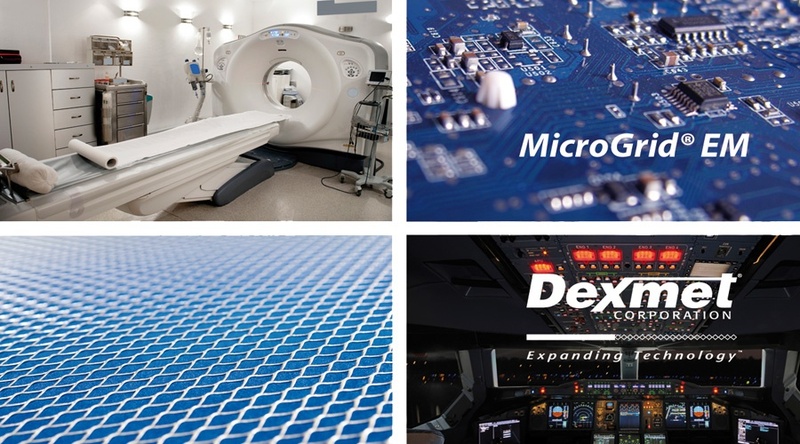 When developing applications that require micro-mesh open area materials, developers and engineers turn to Dexmet for the technical experience needed to shorten the development cycle and provide the best performing, highest quality, and most cost-effective products. We outperform the competition and ensure that our products meet our customers expectations for performance and precision. Our processes are monitored by a AS9100:D and ISO 9001:2015 quality control system to ensure a great product at a great price. 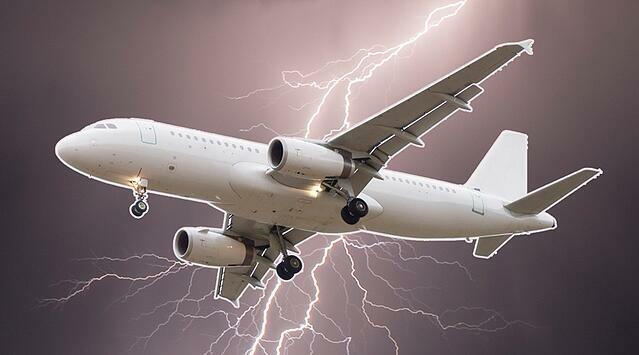 Copper and Aluminum Expanded MicroGrid® material made to protect composite surfaces and structures against lightning strikes for both the Aerospace and the Wind industries. With over 100 different configurations that meet specific applications, minimizing weight and maximizing conductivity, Dexmet has the precise material for your application. If not, we'll develop one that meets your exact requirements. As the requirement for wind turbines to produce more power, wind blade designs are becoming larger to meet these higher output demands. As they become larger,weight becomes an issue and designers are starting to incorporate more carbon fiber into the blade construction. 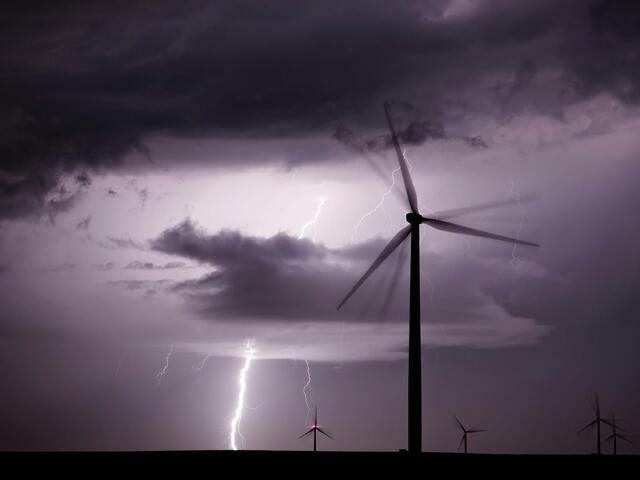 Through the knowledge and history in carbon fiber aerospace applications, Dexmet has been called upon to help determine the correct configurations and materials for lightning protection on these hybrid carbon fiber/composite blades. Configurations are more conductive and configured to withstand multiple strikes and therefore are slightly heavier than materials required for Aerospace. 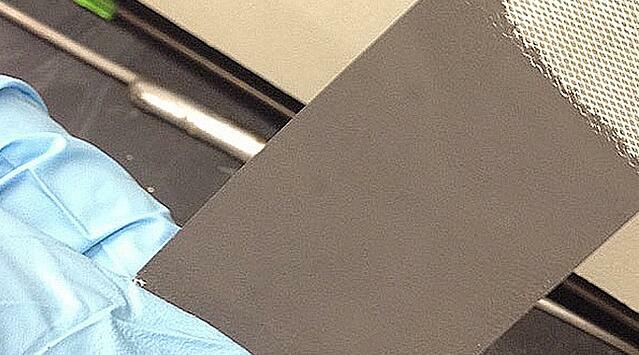 Dexmet has been integral in many battery designs in advanced battery applications. Expanded metal for non-rechargeable, primary batteries anodes and cathodes is the right choice for these electrodes to optimize performance. The battery chemistry determines the alloy used, while the active material composition determines the optimum mesh geometry. With Dexmet's highly configurable expansion process, configurations can be dialed in to meet conductivity, weight or active material density to maximize battery performance. Dexmet ultra-thin expanded MicroGrid® foils are engineered for rechargeable advanced batteries, supercapacitors and lithium ion applications. With material thicknesses down to 25 micron (.001") and open areas that range between 50%-75%, our electrode materials are suitable for many cylindrical and pouch cell applications. 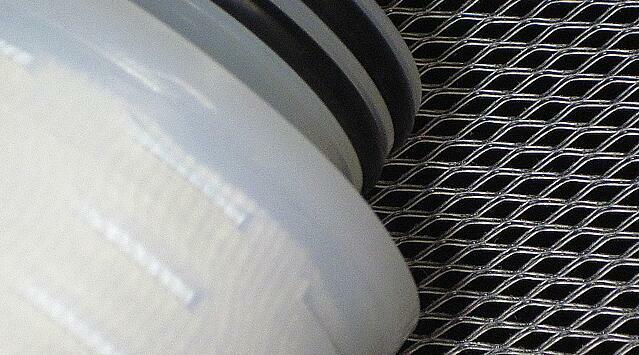 The expansion process allows us to control the thickness, weight, open area and conductivity. MicroGrid® is commonly implemented as anode and cathode current collector screens, and as support structures for active materials. 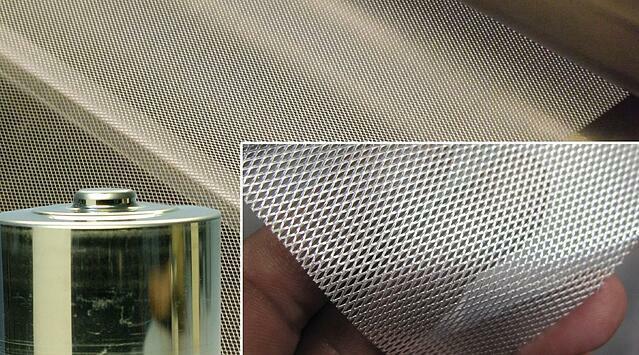 Dexmet materials are utilized in PEM and SOFC fuel cells as current collector electrodes, catalyst substrates, and gas diffusion layers. 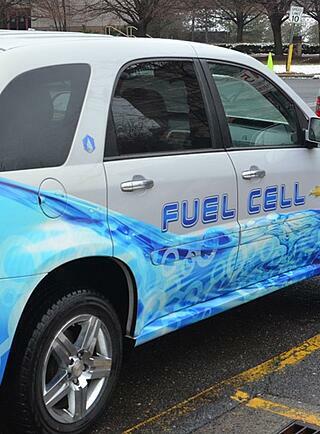 Fuel Cells typically use expensive materials like niobium, zirconium, titanium and nickel to counteract the corrosive environment inside the cell to maximize the cells lifespan. The expansion process is the most cost effective way to produce an open area product from the expensive materials. Dexmet helped create one of the first uses for expanded materials in an electrolyzer for a PEM fuel cell over 40 years ago. Dexmet sees itself as a partner to it's many clients and is at the forefront of development for open area products in fuel cells. We understand the technology and can help our clients bring their products to market. Dexmet can provide a wide variety of MicroGrid® metals and PolyGrid® polymers with geometries to exacting specifications for either primary filtration or as media support materials for fine particle cartridge filters. 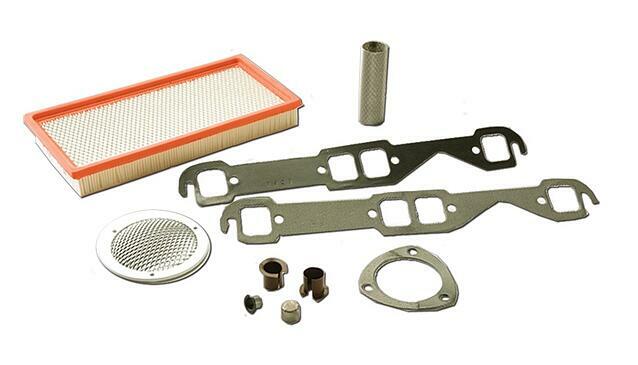 It is important to choose the right material to maximize filter efficiency and lifespan, while reducing internal corrosion and other failure modes. The Dexmet MicroGrid® EM series of expanded metal foils (EMFs) are effective materials for shielding against electromagnetic interference (EMI). 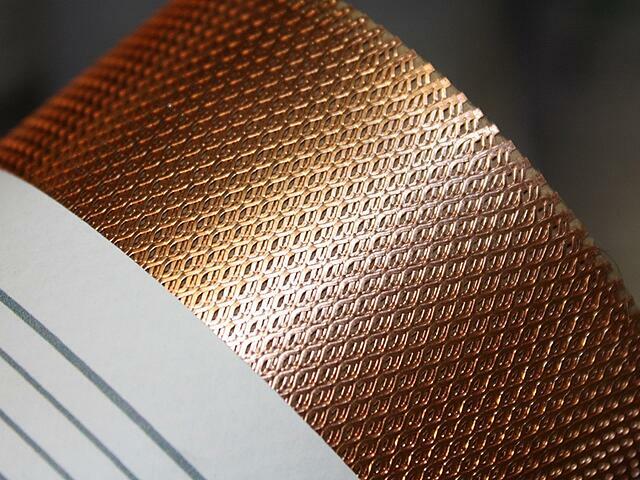 They are electrically continuous and, unlike knit or woven meshes, exhibit consistent, predictable conductivity and shielding effectiveness over a wide range of frequencies. The light weight and strength of standard expanded metal and plastic make it a popular material for a wide variety of commercial and industrial applications. Expanded materials are the "Swiss Army Knife" of open area products. The ability to easily change parameters of the material to dial in exact properties on strength, open area and weight make it perfect for applications from medical devices to heat exchangers. Some of the more common uses for Dexmet expanded metals and polymers are for Thermal Management, Heating Elements, Medical Devices and Cathodic Protection. Let us help you work through your needs for a new application. Contact one of our engineers and start the conversation!